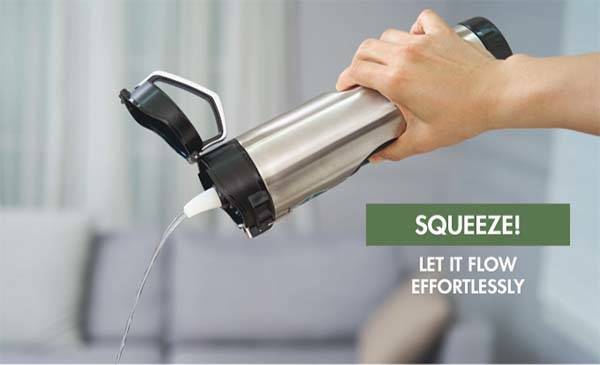 Using NSF filter Ripuri squeezable stainless steel water bottle provides you clean and pure drinking water wherever you go. Like the idea? Let’s keep checking. The Ripuri is a versatile and practical sport water bottle that measures 13 inches tall by 3 inches diameter. As we can see from the images, the water bottle shows off a sleek and compact design so that you can easily put it in your backpack for any outdoor adventure, and four color options allow it to meet different personal preferences. 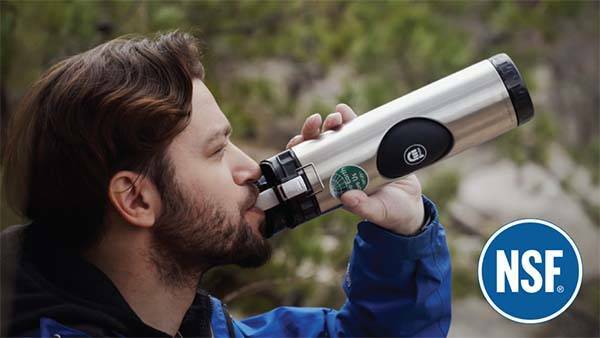 Meanwhile, the traditional cylindrical form factor lets you comfortably hold it in your hand for drinking. The water bottle is made of 18/8 BPA-free stainless steel for a durable, chemical-free construction. 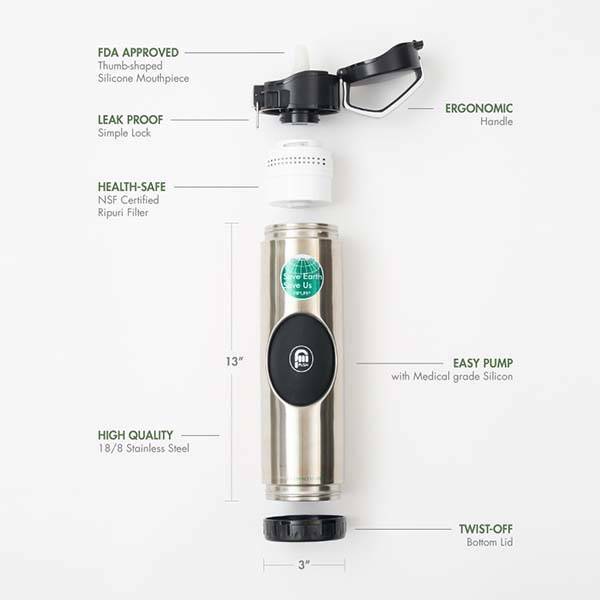 The stainless steel water bottle comes equipped with an FDA approved thumb-shaped silicone mouthpiece, and it also features an integrated squeezable bump in the center in order to make the water flow effortlessly with no breaks. Furthermore, the sport water bottle comes with a NSF certified water filter to remove 99.99% of all viruses, chemicals, sediments and other harmful substances, and detachable design also allows you to remove the filter from the bottle. In addition, it also sports a bottom lid so that you can effortlessly clean the whole bottle, and it’s 100% dishwasher safe. The team behind Ripuri is raising fund for the product on Kickstarter. We can pledge $49 to preorder the squeezable stainless steel water bottle with NSF filter. It will be shipped in December 2018.